By having all of your projects in one project schedule, efficiencies and constraints can be solved, resulting in a smoother implementation. Goal-oriented schedule system analysis - critical path. Goal-oriented network system analysis - critical chain. Promoting a high-performance team atmosphere to encourage participation and collective problem-solving. Systematic, efficient method to gather project data from internal and external constituents. Identify interdependencies between entities in time to plan appropriately. Best-known method defined, documented, and optimized to land equipment in the field. Analysis of channels and capacities for effective balanced resources achieving your goal. Continuous improvement - reduce schedule inefficiencies, reduce wasted motion or efforts, and lower risk. One-picture view for a comprehensive basket of projects. Documented permitting, land, right of way, engineering, procurement, and construction constraints to best plan your overall collection of projects. Find your problems before they find you! From Compressor Systems, Gas Plants, Trans-Loading, CDP Facilities, Refineries, Well Pads and anything in between, our Construction Management and Inspection Teams are up to the task. We ensure our Clients’ peace-of-mind with exceptional Quality Assurance, Safety, and Inspection Services. OER Field Personnel provide solutions through goal-oriented improvements, breaking constraints, providing a smoother implementation of your project and keeping it on schedule. 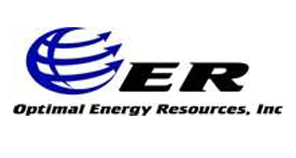 OER’s proven track record of providing qualified pipeline inspection personnel for our clients is the reason that the majority of our business is repeat business. At OER we strive to provide first class PM/CM and inspection services for both midstream and production companies alike. Our qualified, trained and continually improving staff knows how to get the project done, safely and right the first time. An OER managed project is a quality installed project, and a seamless job site experience from construction through commissioning is the result when OER’s extremely well-qualified field personnel and inspectors are on the job.